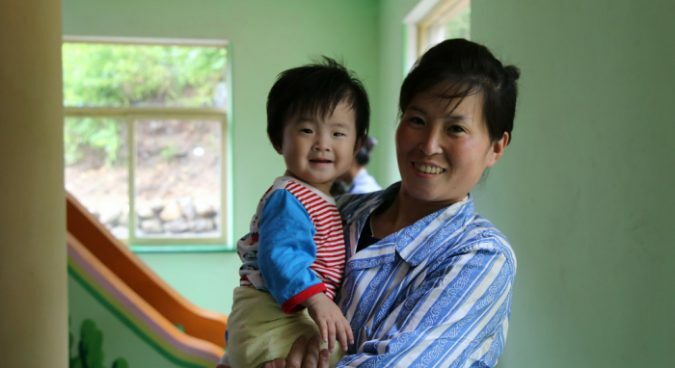 Five additional approvals for humanitarian projects in North Korea were granted earlier this week by a UN sanctions committee, allowing aid and equipment into the country to help treat chronic health and nutrition problems in the country. The organizations receiving six-month approvals beginning on March 12 are French NGO Triangle Génération Humanitaire (TGH), Canadian NGO First Steps Health Society (FSHS), the United Nations Population Fund (UNFPA), and Médecins Sans Frontières (MSF). French NGO Première Urgence Internationale (PUI) also received an approval on March 11. Additional documents detailing items to be imported and specific project information have yet to be uploaded by the UN, though are expected to appear in the coming days. The five new exemptions bring the total number of humanitarian approvals by the UN Security Council 1718 Sanctions Committee to 18 so far this year, and are the second exemptions for FSHS and PUI, who both previously received approvals for work back in January. The approval for Médecins Sans Frontières (MSF) will see the organization return to North Korea following a four-year absence and a rocky history of work in the country. MSF will join other organizations addressing the high occurrence of drug-resistant tuberculosis among the North Korean population, such as the Eugene Bell foundation and others who have also received UN exemptions in recent months. The import will also allow MSF to address “urgent and general medical needs at the community-level,” specifically in Kyongsong County. MSF began work inside North Korea in 1995 as severe famine affected large parts of the country, but left in 1998 due to difficulties posed by the government in carrying out their mission. It returned in 2012 “in a very limited medical training role,” before it again “abruptly ended in 2015,” according to their website. But the NK Humanitarian blog reported in early 2018 that MSF had begun exploring a return to North Korea by hiring a DPRK program advisor to consult with international academics and policymakers. With this week’s decisions, Première Urgence Internationale (PUI) and First Steps Health Society (FSHS) both see their second approvals for work in North Korea since January, and will each use their exemptions to focus on nutrition projects, according to the UN. According to the PUI website, the organization began work in North Korea in 2002 and is one of six operating inside the country under the European Commission, with six local staff and three foreign staff working there at present. It has since 2007 focused on food security and nutrition mainly in South Hwanghae Province and since 2012 on diversifying nutrition and diets of children, their site says, adding a project “for the promotion of goat farming and of goat’s milk” in 2016. 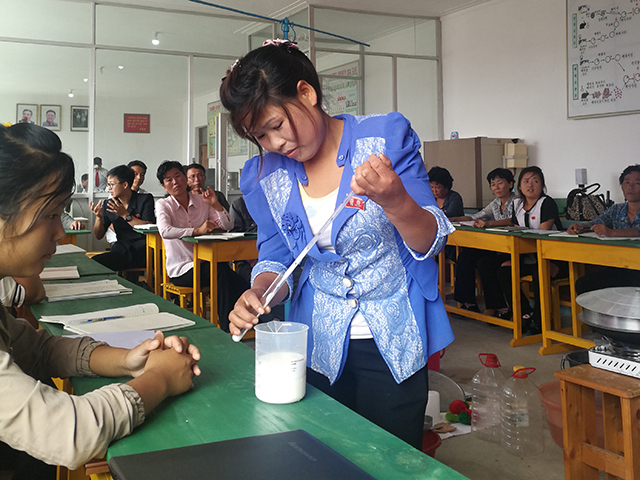 The latter project has involved training “to introduce participants to dairy processing techniques” for goat’s milk in Daesong, Tappyong, Sinkwang and Unyang counties. 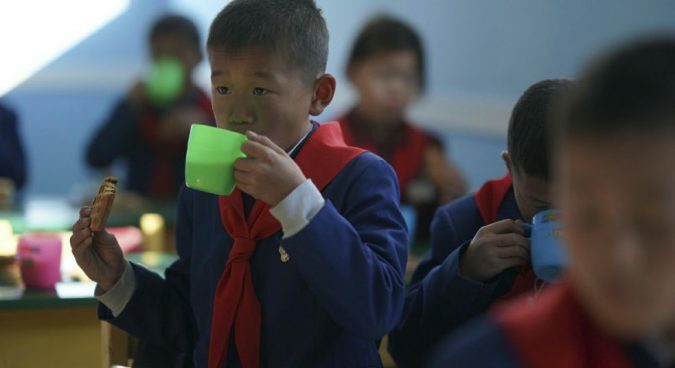 FSHS is an organization dedicated solely to work in North Korea, where it operates with partners “in nine communities to provide soymilk to daycare, kindergarten and orphan children as well as micronutrient Sprinkles to pregnant mothers and their babies,” according to their website. 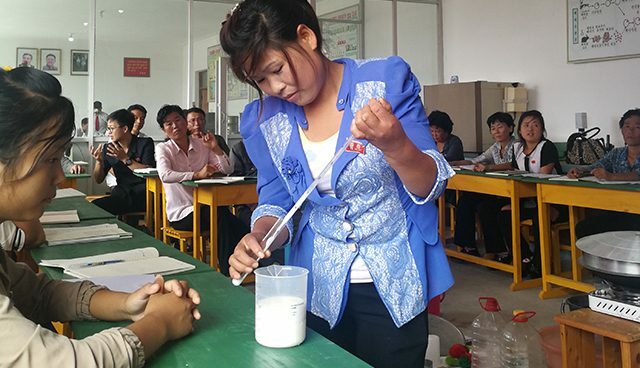 Their soymilk program includes the daily delivery of soymilk “to children at daycares, kindergartens and orphanages” produced through non-electric “VitaGoat” and power-efficient “VitaCow” machines. The program operates in Hyongjesan, Hyesan, Nampo, Pochon, Tongchon, and even cities where the government is investing considerable resources on political construction projects such as Samjiyon and Wonsan. 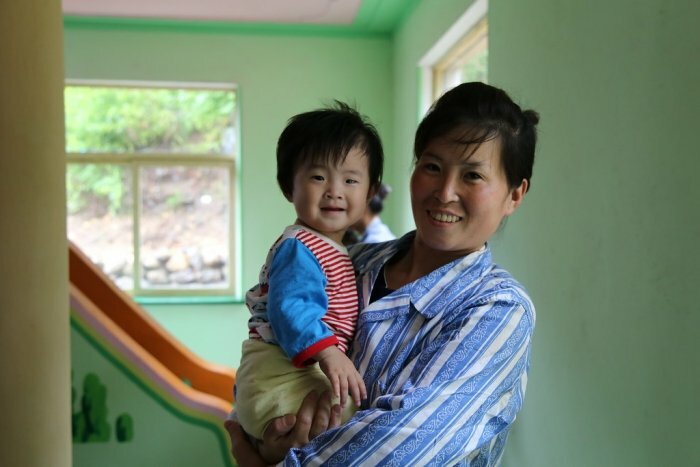 Approvals for Triangle Génération Humanitaire (TGH) and the United Nations Population Fund (UNFPA) will see the two organizations work on health issues faced by some of North Korea’s most vulnerable populations. 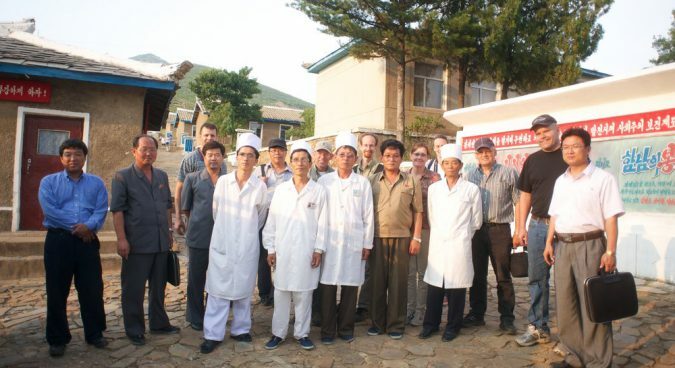 TGH will import items “to implement assistance and relief projects … for the benefit of the civilian population of the DPRK aimed at improving better care and resilience of elderly people,” according to the UN. 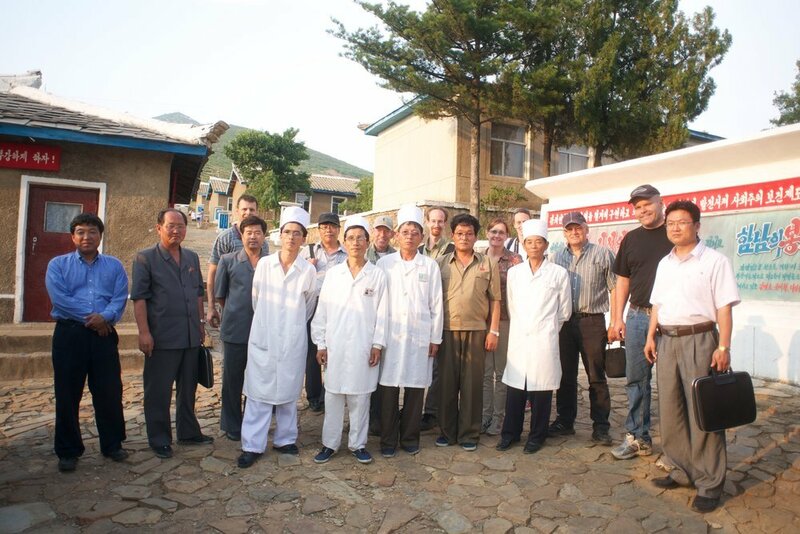 The France-based TGH currently operates a number of projects in North Korea addressing child nutrition, diet diversity, developing aquaculture, and has since 2004 worked with the government-run Federation for the Care of the Aged (KFCA) to build the country’s elderly care capacity. Past projects carried out by TGH addressed food security in retirement homes and geriatric care for the elderly, especially those without families. The organization says it is making up for North Koreans’ “poor access to health services” and that the “government has not been able to provide these drugs” due to natural disasters. Subscribe to read the remaining 1208 words of this article.